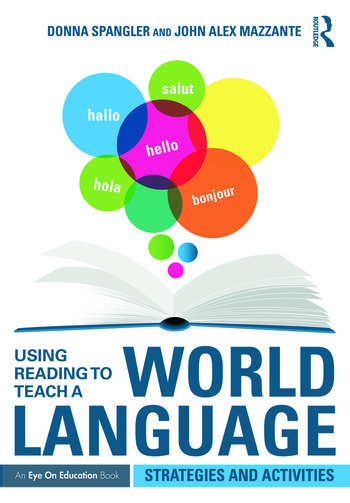 To help your students learn a world language, don’t forget the power of reading! In this practical book from Donna Spangler and John Alex Mazzante, you’ll gain a variety of strategies and activities that you can use to teach students to read in a world language, boosting their comprehension, vocabulary, and fluency. Perfect for any age or proficiency level, these classroom-ready activities can easily be adapted to suit your needs! Busy world language teachers will love this book’s numerous classroom examples, ready-to-use templates, and free online reading sources. Bonus: The book includes eResources that are free to adapt and print for classroom use from our website, http://www.routledge.com/books/details/9781138853515. Donna Spangler has taught Spanish and French at the middle school level for over 26 years. A former chair of the Derry Township School District Induction Committee, she holds an educational doctorate in Teacher Leadership from Walden University. In 2011, she was named the Pennsylvania State Modern Language Association Educator of the Year. John Alex Mazzante teaches Spanish at the high school and middle school levels. He holds a bachelor of arts from Lycoming College with a major in Spanish. He has attended Tandem Escuela Internacional of Madrid, Spain and has completed translation work for local companies.